The advent of production on an industrial level has made it easier and more convenient to maintain the cleanliness of your home. These household products help to keep your home clean and free from pests. However, there are a few things that you need to know about the chemicals within them. Many of the products that you are using in your home often contain harmful toxins that are shown to be unsafe in larger amounts. We’re going to break down some of the most common chemicals that are found in products that you use every day. What are You Using in Your Kitchen? Phthalates are a known endocrine disruptor and are found in air fresheners and dish soap. Exposure to this chemical occurs when you breathe in the fragrance found within scented candles and fresheners. For example, if you see the word “fragrance” as part of the ingredient list, it is most likely composed of Phthalates. As a healthier alternative, you can purchase soaps and fresheners that are completely fragrance-free or use only natural ingredients such as vinegar or essential oils. In 2016, the FDA included Triclosan in the list of 17 ingredients banned from use in hygiene products such as hand soap and sanitizers. According to Mae Wu, a senior attorney at the Natural Resources Defense Council, triclosan and chemicals within the same category “can disrupt hormone cycles and cause muscle weakness”. This now banned ingredient can be found in soap that is listed as being “antibacterial”. As an alternative, look for soaps that incorporate a few ingredients. There are a number of companies who provide both eco- and family-friendly products for those wanting to decrease the number of chemicals used at home. This chemical is known by many different names, which are a mouthful, to say the least. You may have seen 2-Butoxyethanol as Ethylene Glycol Monobutyl Ether, Butyl Glycol, Butyl Oxitol, or Glycol Butyl Ether and more. You can normally find 2-Butoxyethanol in window and kitchen cleaners. The EPA has identified this chemical as especially hazardous when inhaled. When using products with this chemical, you might experience a sore throat after using it. In more severe cases, it’s especially damaging to the internal organs such as the kidneys and liver when there is increased exposure. For a safer and inexpensive option, you can clean windows with a simple mixture of 1 part vinegar to 2 parts water. What are You Using in Your Laundry Room? From detergents to fabric softeners, the laundry room normally houses a ton of products with some not so nice ingredients. Here is a quick rundown of some of the most common chemicals that you will find lurking in the laundry room. 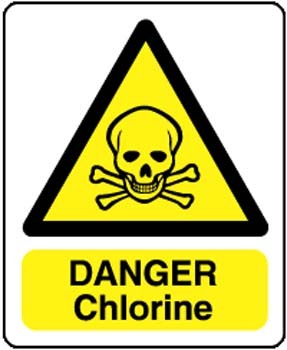 Chlorine is found in a number of different places including tap water. It’s also found in products that brighten and whiten laundry. You might know it as “bleach” or “chlorine bleach”. Once this chemical is inhaled it can cause respiratory issues. In addition, it can cause skin and eye irritation. As a general warning, you always want to make sure that the chemicals that you are using are never mixed together. Certain chemical combinations will cause a toxic, chemical reaction that released dangerous fumes. An example of chemicals that should never be mixed are bleach and ammonia. These toxic fumes can damage the lungs when they are inhaled. A healthier alternative to using products that use chlorine, consider using cleaners and detergents with vinegar or baking soda. These are found in common laundry detergents and have bactericidal properties. While this chemical is the most dangerous when ingested, inhalation can lead to skin and eye irritation. As an alternative, there are many laundry detergents that are produced without this dangerous enzyme. What are You Using in the Living-, Dining- and Bedroom? The rooms where you can kick up your heels and relax are the ones where you need to take the greatest care. Our investigation now takes us to the common living areas of the house. The living-, dining-, and bedroom are rooms where sprays and powders are often used. Whether you are trying to clean the carpets or get rid of some fleas, you need to make sure that you are looking at the labels for certain chemicals. This chemical is used in rug and upholstery cleaners. The EPA warns that Perchloroethylene is responsible for causing irritation to the eyes and upper respiratory tract. Longterm exposure through inhalation can cause disorientation and impaired motor skills. If you want a more natural way to clean your carpets, try using a mixture of ¾ cups of warm water to ¼ cup of white vinegar. You can follow up with baking soda to freshen the carpet and remove odors. 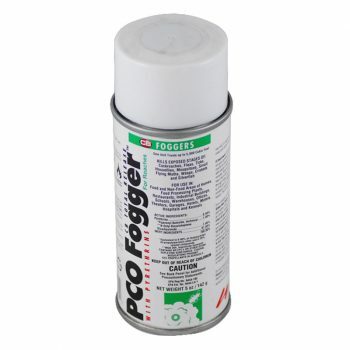 This chemical is found in various pesticides including bug bombs or foggers. Exposure to Pyrethrins in large amounts will cause eye irritation and breathing problems. While those multi-legged pests are incredibly annoying, you want to avoid using this chemical in the home. There are several products on the market that get rid of insects and are also certified green. Plus, if you’re especially crafty, you can make your own insect repellants and sprays that will help keep the bugs at bay. While the thought of so many dangerous chemicals existing within the confines of your home is a frightening realization, it’s not the end of the world. You can care for your family and keep your home clean without using products that are damaging to their health. Over the past decade, there has been an increase of companies who make it their mission to produce safe and effective products that keep your home clean and your family healthy.